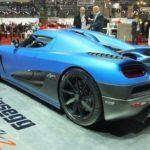 Koenigsegg, the Swedish supercar maker, debuted an updated model of their most extreme car to date – the Agera R – at the 2012 Geneva Motor Show. 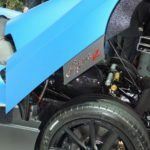 The example you see in these pictures featured a gorgeous matte blue finish with carbon fiber (no paint) hood stripe and side, along with carbon fiber accents abound. 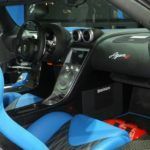 The interior also shows off plenty of bare carbon and the seat leather matches the exterior. 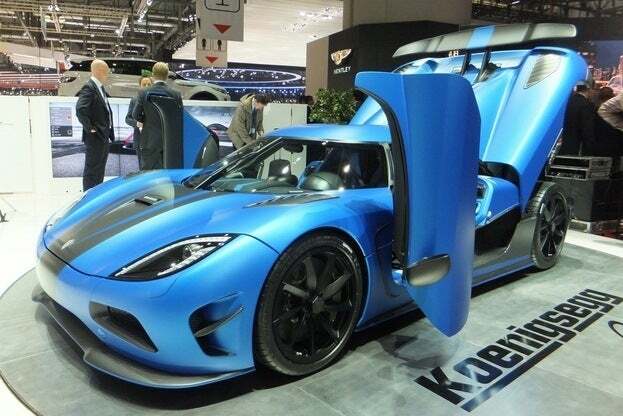 I think I’ll take mine just like that. 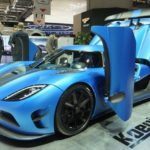 If that configuration isn’t your thing though, check out Koenigsegg’s Agera R Configurator – you can get it pretty much however you want, choosing from unlimited colors and variations in brightness and saturation. 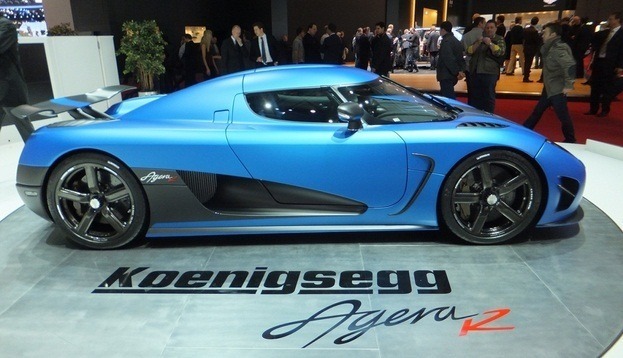 One of the most noteworthy changes to the 2013 Agera R are the new wheels Koenigsegg developed. 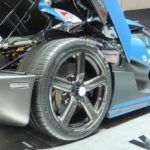 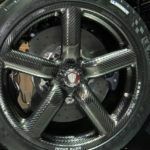 Called “Aircore,” the wheels are completely hollow carbon fiber, bringing a new meaning to lightweight wheels, saving nearly 44 lbs of unsprung mass. 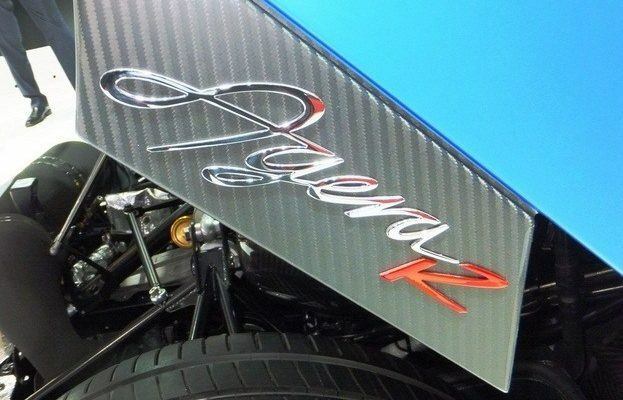 That’s a big deal. 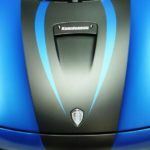 You can see a closeup in the image gallery below. 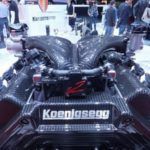 Along with the new wheels, they managed to increase power even more by developing a new engine management system and raising the rev limiter on the twin-turbo 5.0-liter V8 from 7250 rpm to 7500 rpm, effectively increasing horsepower from 940 to 960hp, or if you use E85 gasoline, you get a massive 1140hp, up from 1115. 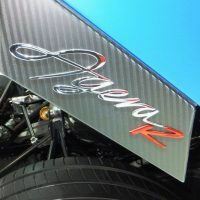 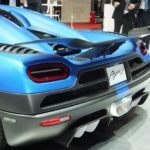 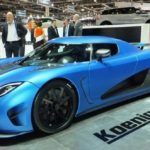 Other changes to the 2013 Koenigsegg Agera R include a new lightweight rear exhaust, new front/side winglets to create more downforce and less drag, and a new “Triplex” suspension, developed in partnership with Swedish shock manufacturer Öhlins Racing. 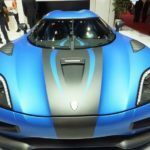 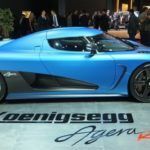 1 Comment on "2013 Koenigsegg Agera R Unveiled at Geneva 2012"